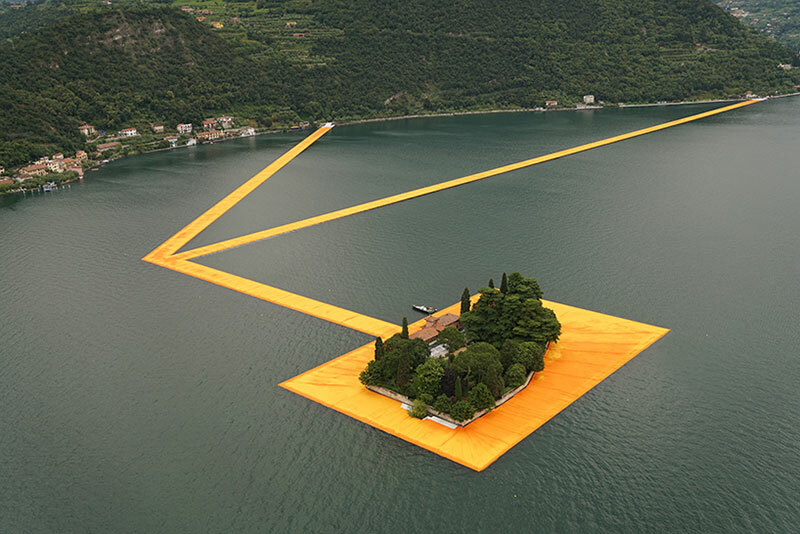 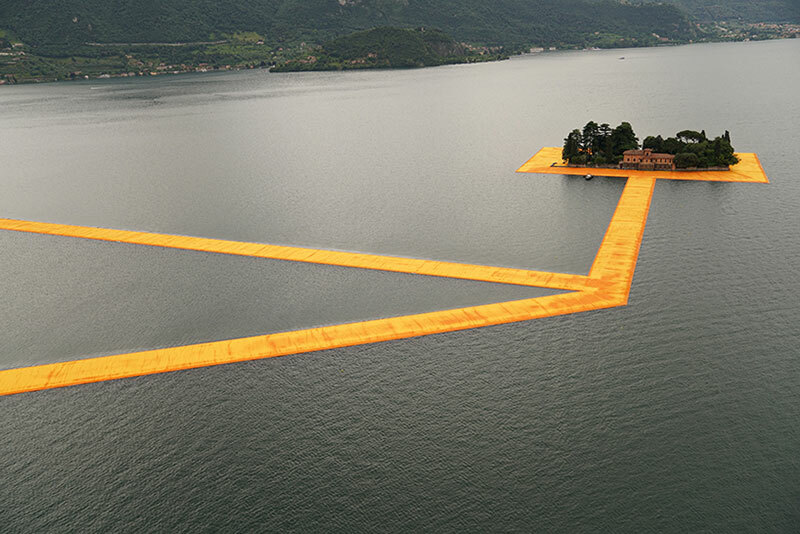 Floating Piers by artists Christo and Jeanne-Claude is an eye-catching installation on Italy’s Lake Iseo consisting of 100,000 square meters of shimmering yellow fabric sitting on top of a modular dock system of 220,000 high-density polyethylene cubes floating on the surface of the water. 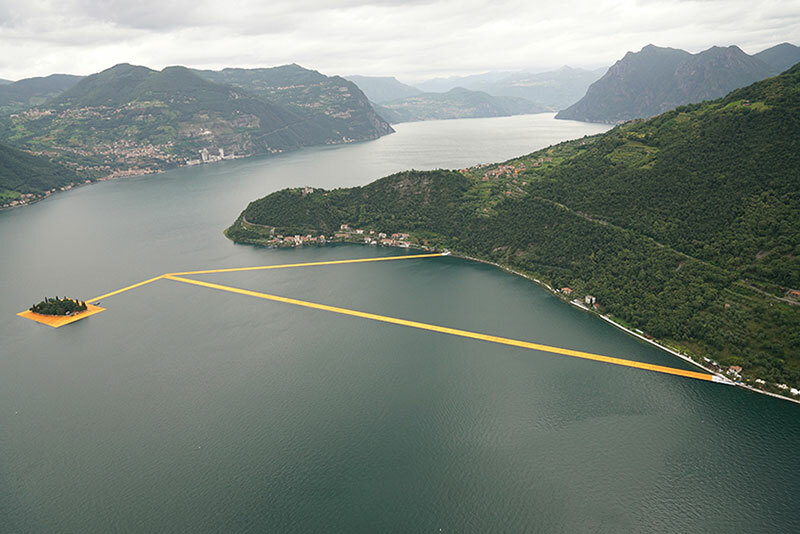 Visitors can experience the undulating movement of the cubes as they walk from Sulzano to Monte Isola and to the island of San Paolo. 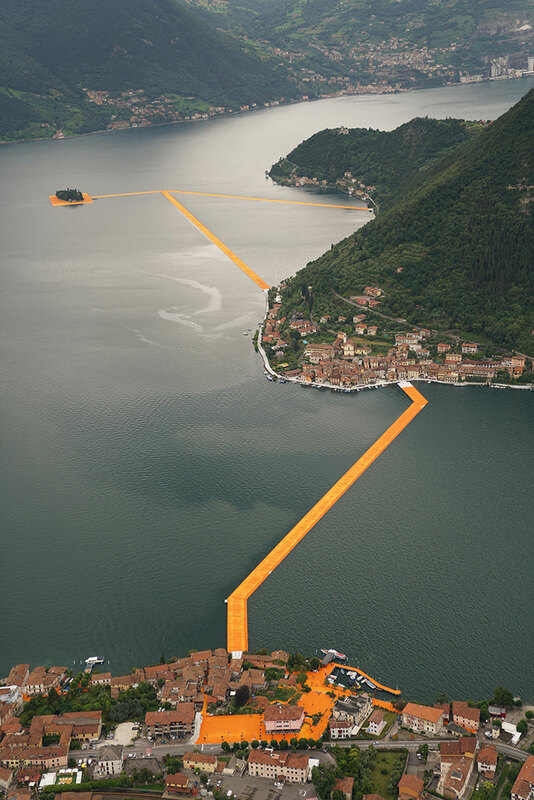 The yellow fabric continues along 1.5 kilometers of pedestrian streets in Sulzano and Peschiera Maraglio. 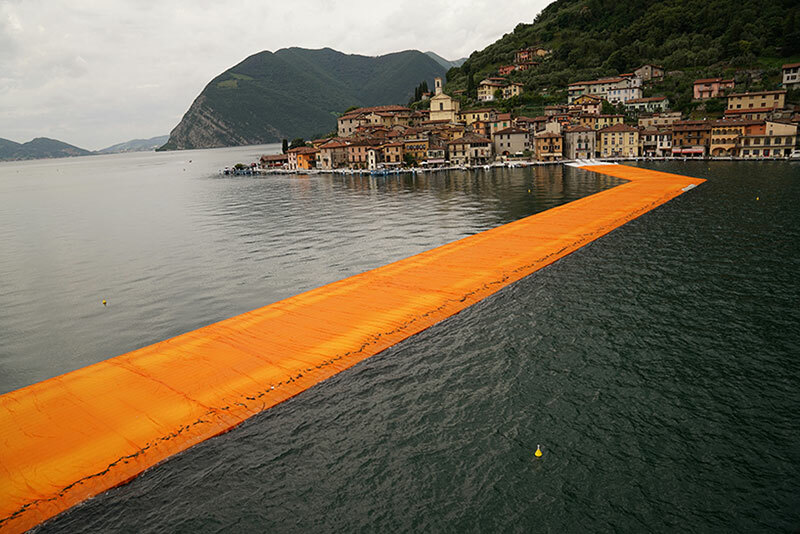 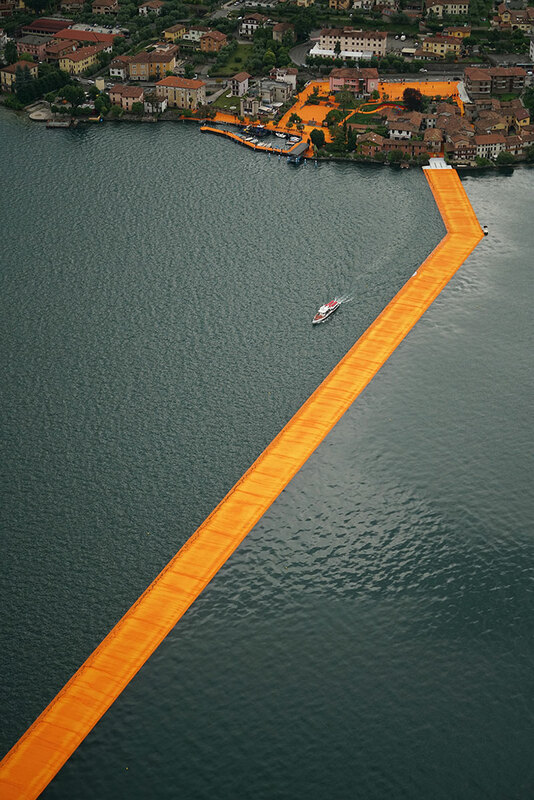 The Floating Piers was first conceived by Christo and partner Jeanne-Claude in 1970 but a suitable location could not be found until 2014, when the artist and his team scouted the lakes of northern Italy and found Lake Iseo to be the most inspiring location for the project. 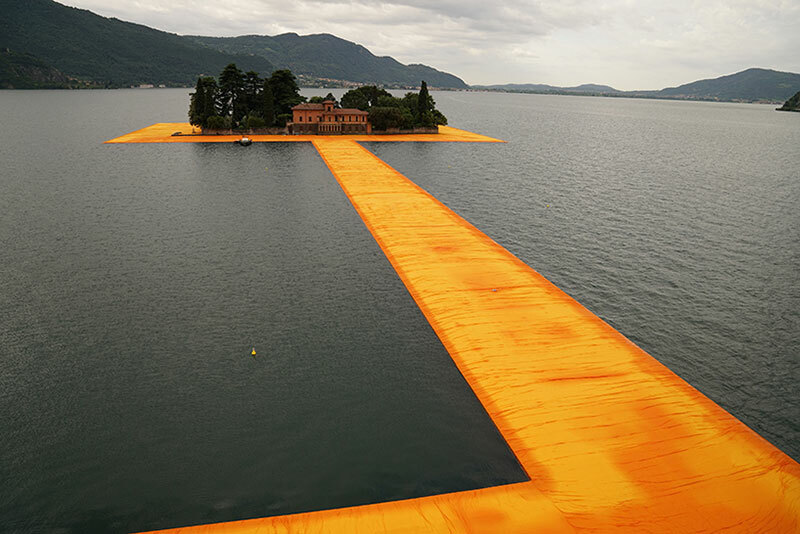 Floating Piers will be on view through July 3. 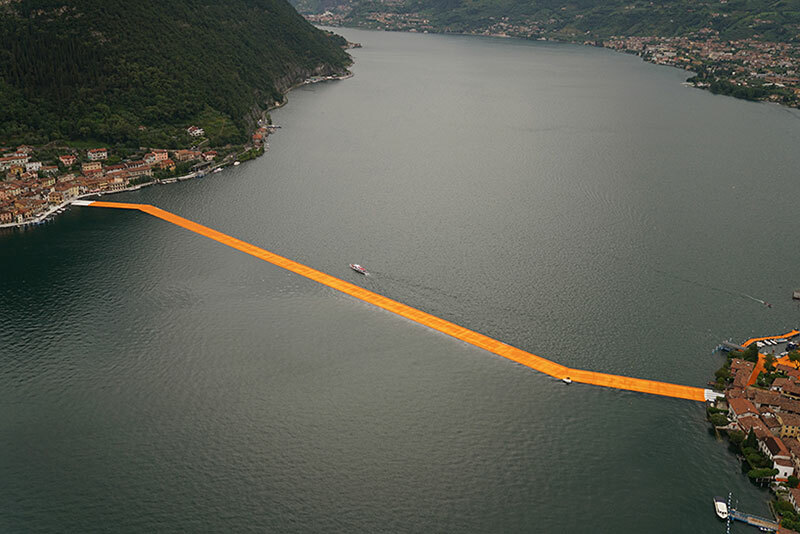 Check out the official website for more information. 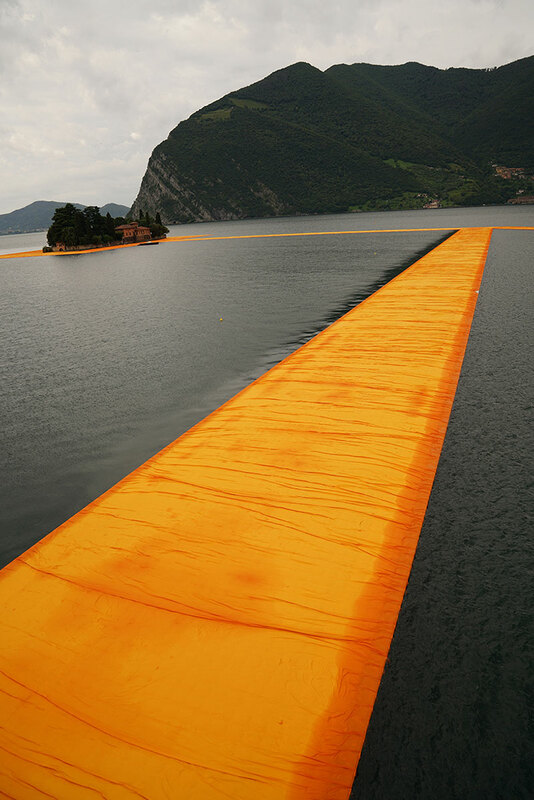 Floating Piers by artists Christo and Jeanne-Claude is an eye-catching installation on Italy’s Lake Iseo consisting of 100,000 square meters of shimmering yellow fabric sitting on top of a modular dock system of 220,000 high-density polyethylene cubes floating on the surface of the water.